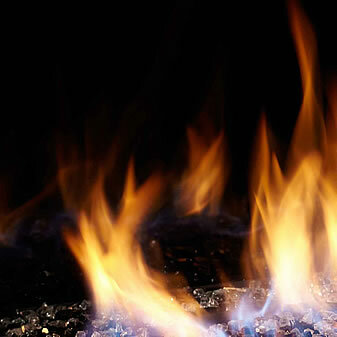 One of the many options Monessen offers is the interior material of their fireplaces. The black magic glass creates a radiant backdrop for your fire to dance in front of. This modern presentation reflects the glow of the flame in a modern and contemporary manner. The material is highly durable and matches seamlessly to the hand painted log set or fire glass that will sit in front of this backdrop. This clean aesthetic brings a traditional fireplace into your modern life by way of adding chic materials into your home through one of the most dominant features in your living space. Could you tell me the dimensions of these panels? The left, right and center. This is a model-specific fireplace liner kit only suitable for use within particular models of Monessen gas fireplaces. Exact dimensions are intentionally withheld to prevent mismatching. A proper replacement part can only be located by referencing your current fireplace manufacturer and model number.